Her likeness is back, but the mystery remains. 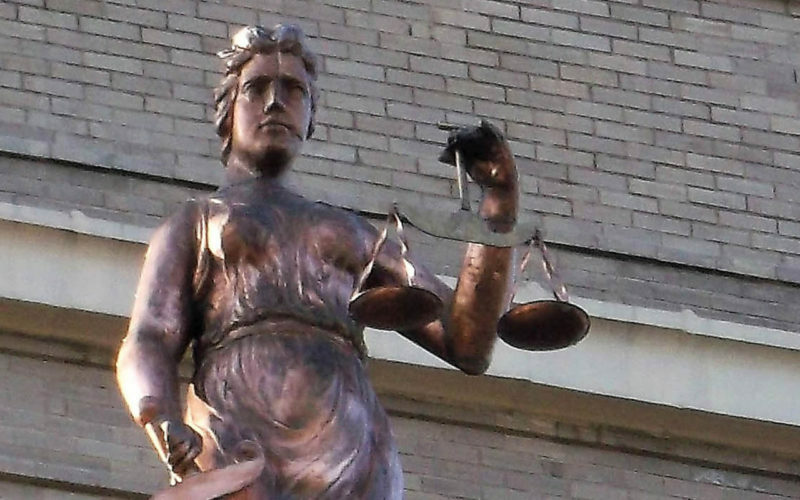 What happened to the original Lady of Justice statue atop the Navarro County Courthouse? Tuesday, a new replica of the statue was installed above the south entrance of the courthouse as a part of the historic restoration of the 100-year-old structure. A Canadian firm — Heather and Little — was commissioned to create the copper likeness of the lady with a sword and scale who stood above the courthouse grounds for decades. Then, in 1941, she vanished from the courthouse, and apparently, from history. As the county began discussing the courthouse restoration County Judge H.M. Davenport Jr. researched old archives of the Corsicana Weekly Light — one of the publications in the Daily Sun family — and found references in a newspaper from 1941 about a meeting of the Navarro County Commissioners Court, and a discussion about the need for the statue to be painted.